Mail-In Rebate! - Get 10% back with the purchase of a Bestop TrekStep. See More. Attach and go! What could be simpler? 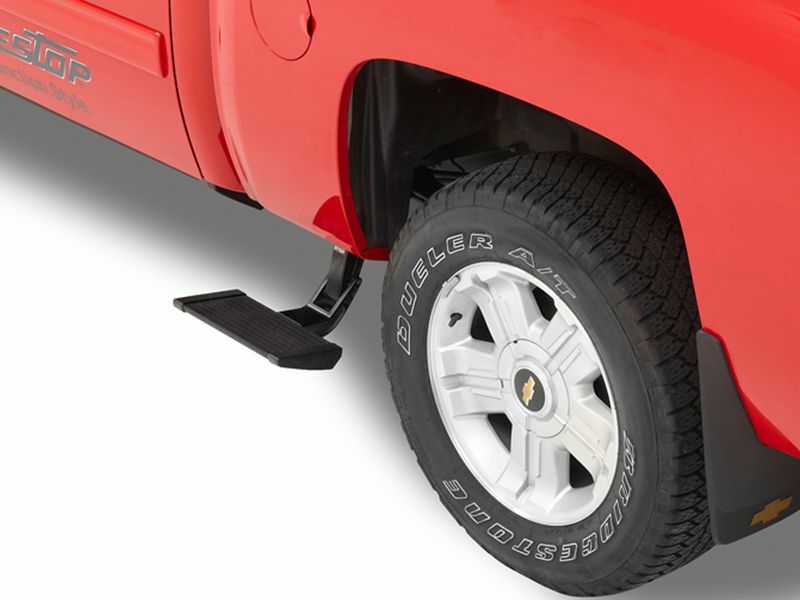 The Bestop Side Mount TrekStep is a great way to easily access your truck bed. Much like the Bestop TrekStep tailgate step, this side mount TrekStep is the ideal truck bed step with some of the same amazing features! Mounting to the side of your truck bed, you gain easier access to getting up into your bed. Most side mount TrekSteps install on either the drivers or passengers side of most vehicles. In addition, this is a quick and hands free operation! You will have the side mount step installed within minutes. Another added perk is that it retracts and extends easily to fold beneath the side panel to give you added ground clearance. Not only is it easy to use, but the Bestop Side Mount TrekStep is built tough. With a 400 pound load capacity, it will hold up to almost anything. Manufactured strong and durable with aluminum alloy linkages and also heavy duty steel mounts, this step will last you a long time. Make your life easier when it comes to getting access to your truck bed. Get yourself a Bestop Side Mount TrekStep and never jump or bend over again! The Bestop Side Mount TrekStep is an easy at home no drill installation. For additional information call us at 1-877-216-5446 or 701-253-5906. What's inside: new arrivals, exclusive sales, truck news and more!